AN EXAMPLE OF THEIR WORK IN 1978 ! ONE OF MY "SO LONG" GIFTS. 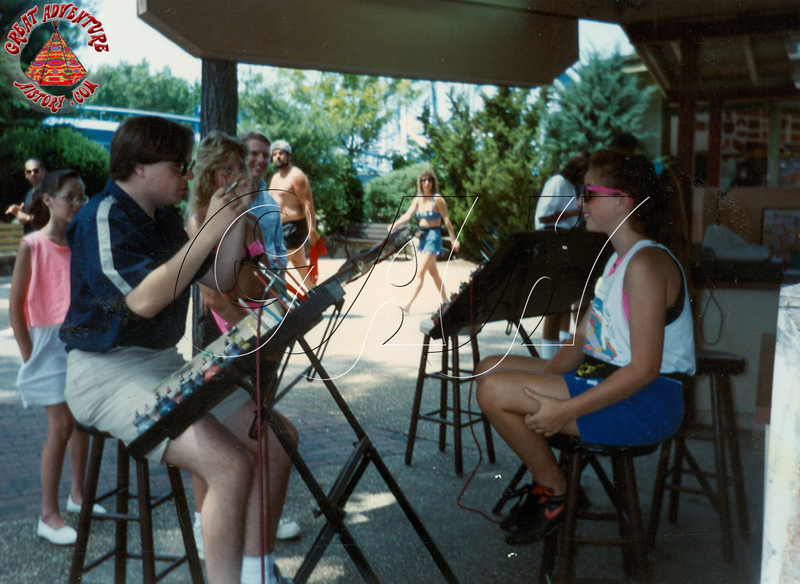 I was able to acquire a great picture of the original caricature stand located between the Carousel and Four Tents. This predated the octagonal structure found in later years. 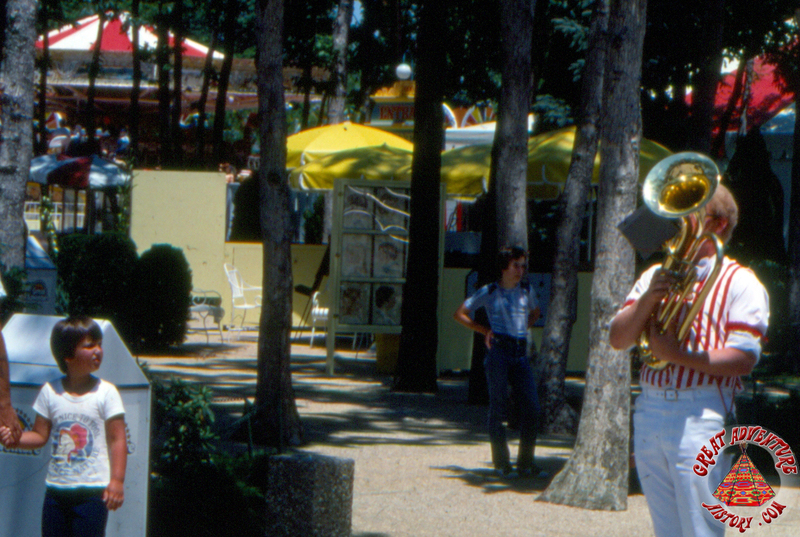 Seen below, the yellow artist stand featured collapsible walls which when extended could display the caricaturist's artwork. 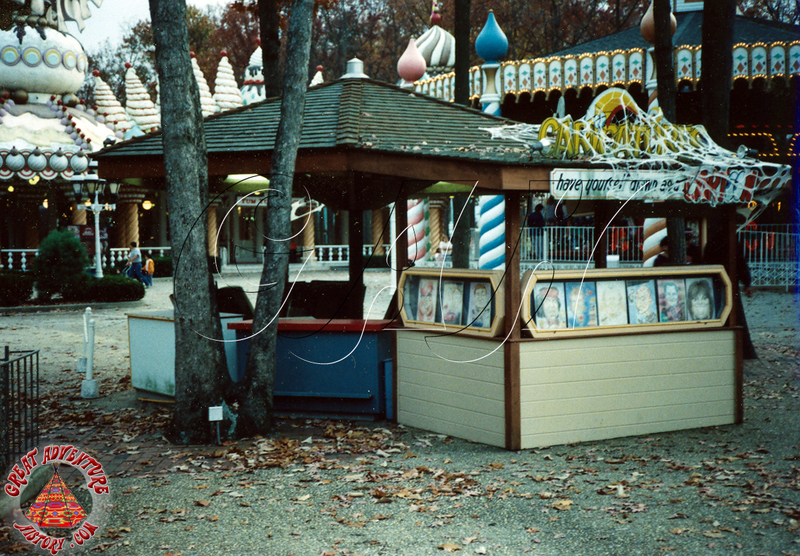 This stand was added in 1976 and removed in 1979. 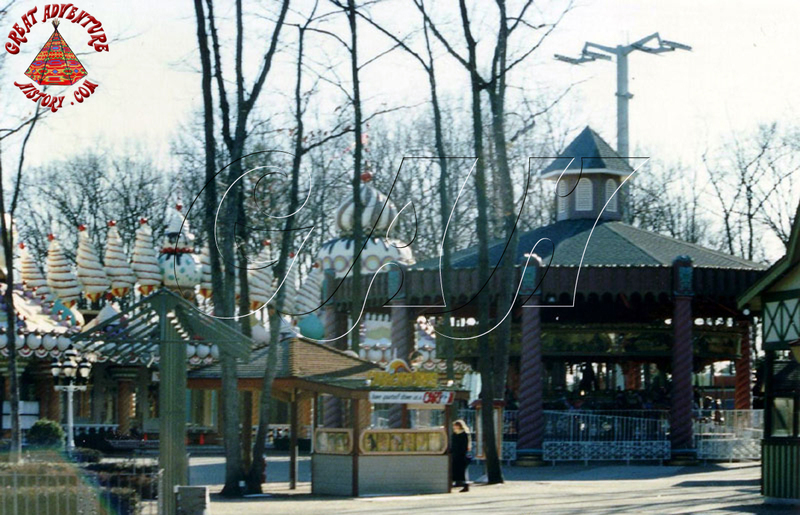 Also, take note of the Gondola ride in the middle of Fortune Festival and the colorful "ENTRANCE" sign (just about the yellow umbrellas) leading in the red and white tent, home to the Past & Present store. Photo taken in 1977.